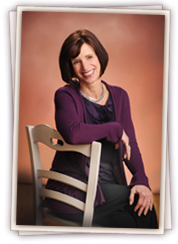 Anne M. Fletcher is an award-winning health and medical writer and registered dietitian. As the author of the acclaimed new book, Inside Rehab, national bestsellers, Thin For Life and Sober for Good, and the highly regarded Weight Loss Confidential, she is frequently sought out as a media expert, speaker, and consultant for her knowledge about addiction and recovery, weight management, and lifestyle change. As the author of five award-winning books on weight management, Anne does motivational presentations for lay and professional audiences, writes for leading women’s magazines, and consults with organizations concerned with wellness. Her findings from hundreds of weight loss success stories have inspired countless people to take charge of their weight and their health. As the author of the national bestseller, Sober for Good – the only book on long-term sobriety – Anne documented the many pathways to recovery from hundreds of men and women. Her presentations about what it takes to get sober and stay sober have taken place at recovery meetings, conferences, and universities all across the country. She’s currently writing a book about addiction treatment for Viking Penguin. Who better to inspire others who want to change than people who have “been there”? Through her seven books, presentations, magazine articles, and media interviews, Anne has spent nearly two decades sharing the findings of people who have overcome lifestyle problems so others can change for good. Do an Internet tour of high-end rehabs – and even of some that aren’t so high-end – and you’ll likely see a potpourri of offerings including “integrative” and “experiential” therapies such as breath work, psychodrama, equine-assisted therapy, neurofeedback, and Reiki. (Anne even found a rehab that offered hair nutrient and toxin analysis, colon hydrotherapy, and 11 kinds of massage therapy.) All of the residential adult programs and some of the outpatient facilities she visited offered some alternative therapies – to varying degrees and with varying claims – although it was clear that they were meant to complement more conventional treatment. Aside from providing a feel-good experience, do alternative approaches improve the odds for sobriety, as suggested by claims at one famous rehab’s Web site that holistic treatments have “proven” to be highly effective in improving recovery rates and preventing relapse? In Holistic Rehab Therapies: Are Alternative Addiction Treatments Helpful, Harmful, or Head Games? Anne takes a close look at alternative treatments to answer, what do such interventions add to the quality of the rehab experience? Do these therapies increase the chances of getting and staying sober? Are they worth the added expense? Could their benefit be just a placebo effect? Could some of them possibly be harmful? This Special is a companion to Inside Rehab, available now from Viking. Barnes & Noble | Amazon | Apple. Anne serves as a consultant for causes and activities related to addiction, recovery, lifestyle change, nutrition, and weight management. Most recently, she became a Certified Progressive Recovery Coach. See the “Exploring Different Treatment Options,” Panel discussion..
Anne is now a regular contributor to ProTalk at Rehabs.com: http://www.rehabs.com/pro-talk/ . You can read the article in PDF Format here..